Fidget spinners driving you crazy? Then be thankful this November for a DIY fidget spinner program with an educational twist! There’s plenty more to keep teens busy this month, including writing sparks for National Novel Writing Month, easy recipes, art projects and intriguing book releases. 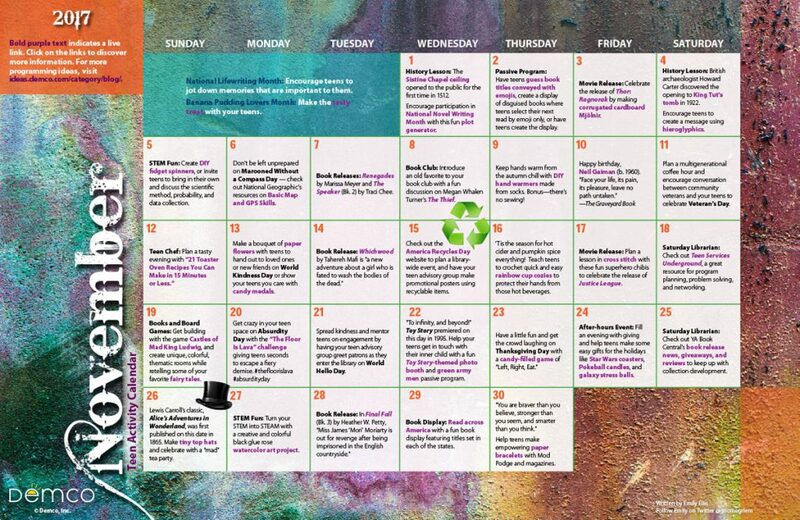 Download a printable 8.5″ x 11″ version of the November 2017 calendar. 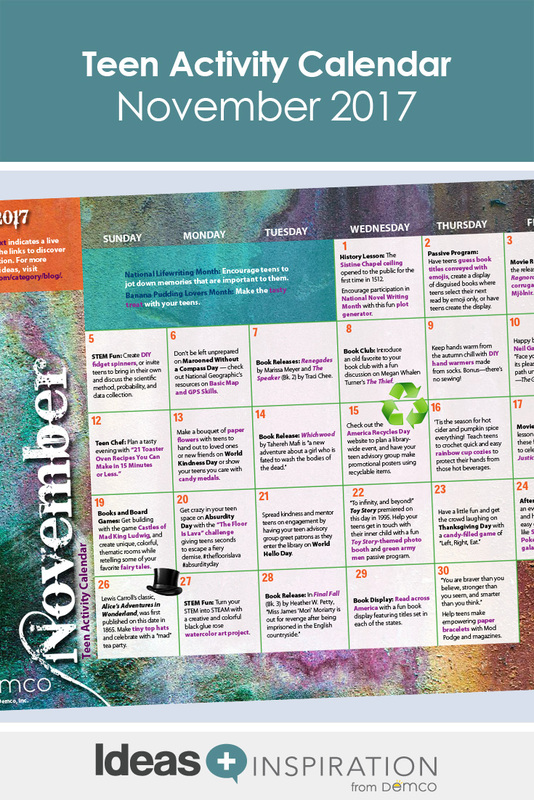 Download a printable 11″ x 17″ version of the November 2017 calendar.